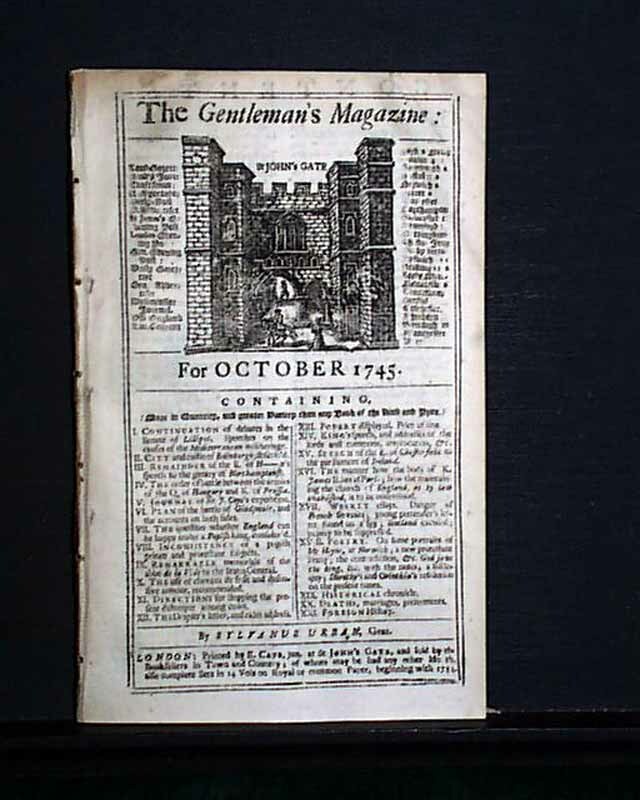 Item # 617334 THE GENTLEMAN'S MAGAZINE, London, October, 1745 A highlight of this issue is the interesting and unusual full page engraving of: "A Plan of the City of Edinburgh" which has much detail, showing the castle as well, and includes a rather large key to various locations as well (see). 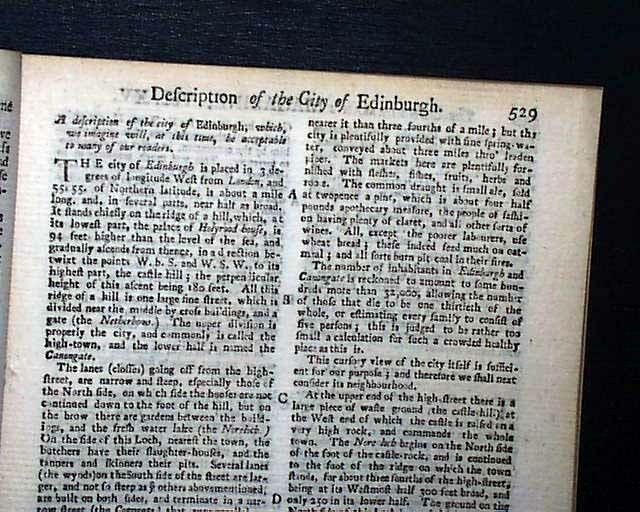 Further on is a very detailed article: "Description of the City of Edinburgh". 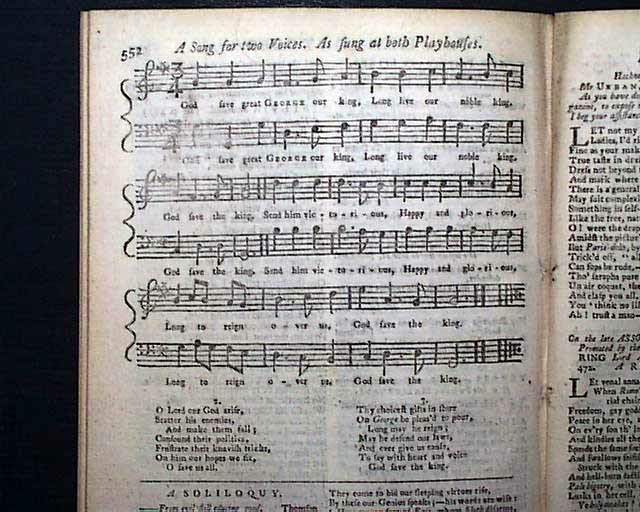 Another significant item is the very early printing of the United Kingdom's national anthem "God Save The King" headed: "A Song for Two Voices. 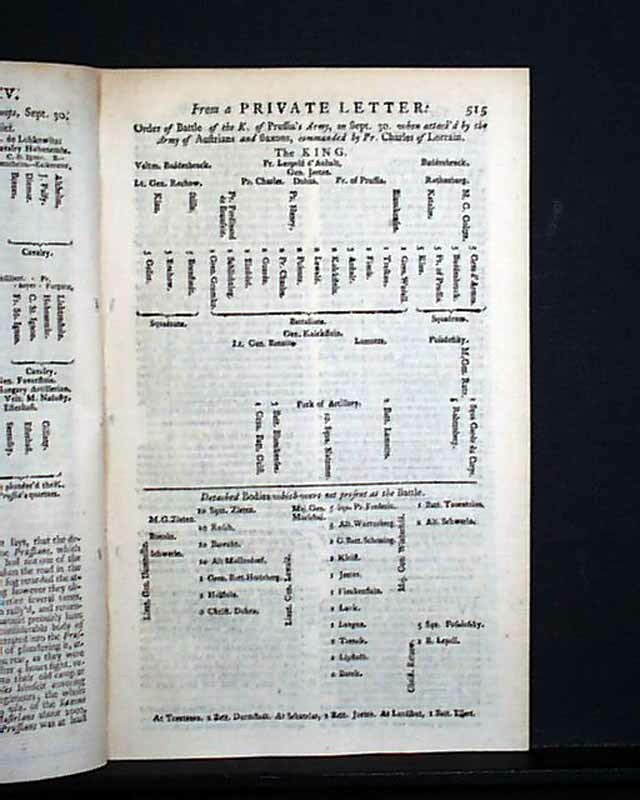 As Sung at Both Playhouses" (see). 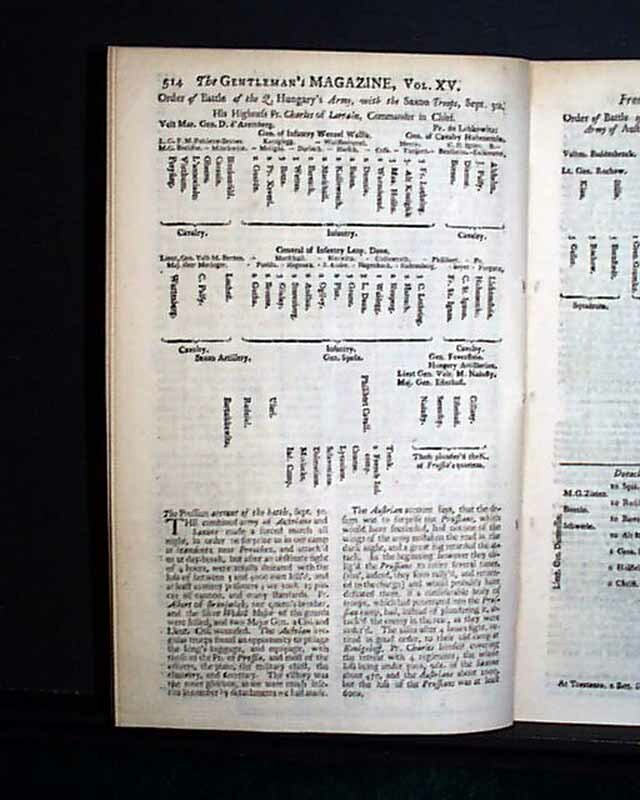 The earliest printing of this song was in 1744. 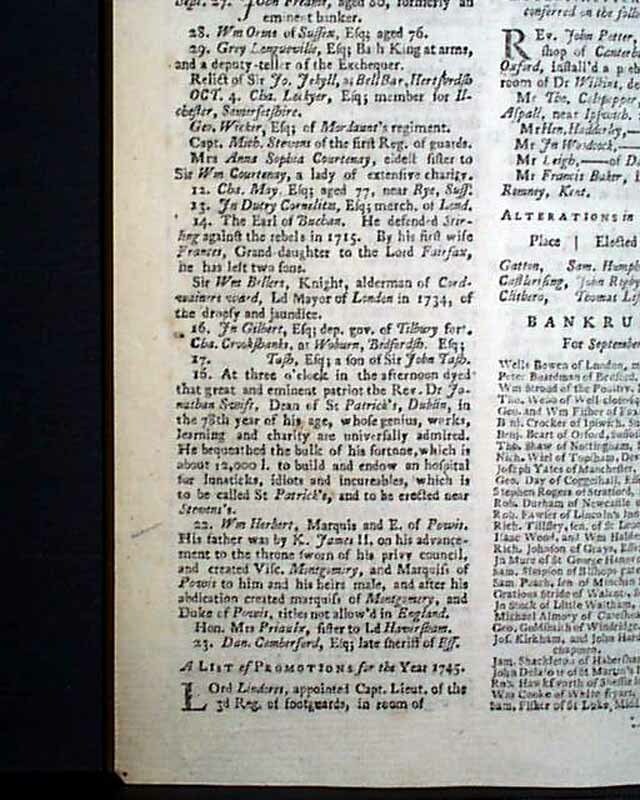 This edition is just one year later. 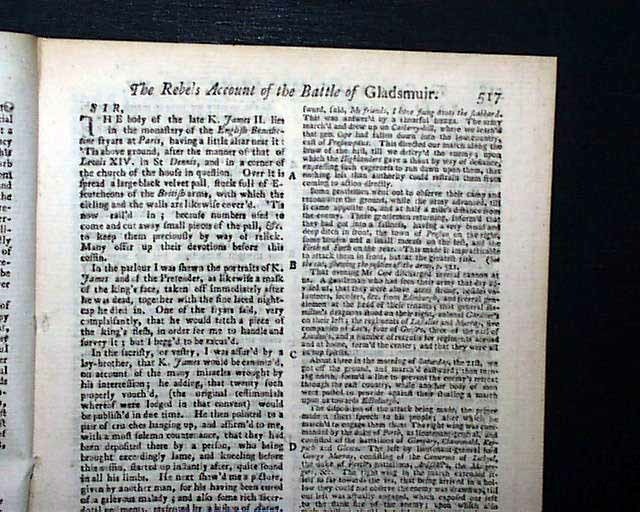 There is much text on: "The Rebels Account of the Battle of Gladsmuir" and "Journal of Sir John Cope's Army" which includes a full page engraving headed: "Plan of the Battle of Gladsmuir". 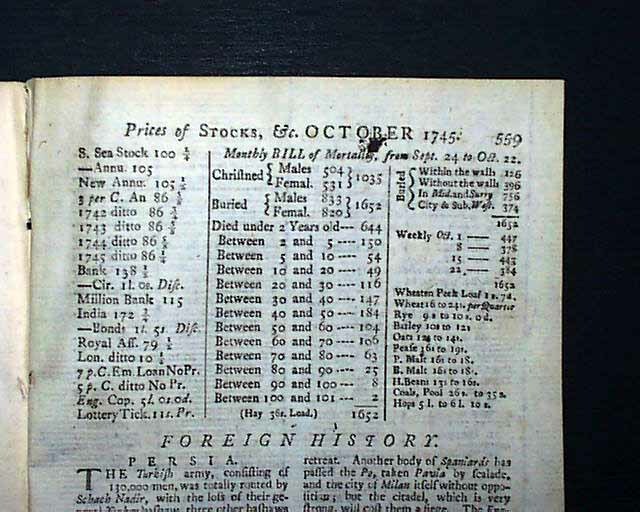 Near the back under the: "List of Deaths..." is that of Jonathan Swift, a portion including: "At three o'clock...dyed that great & eminent patriot the Rev. 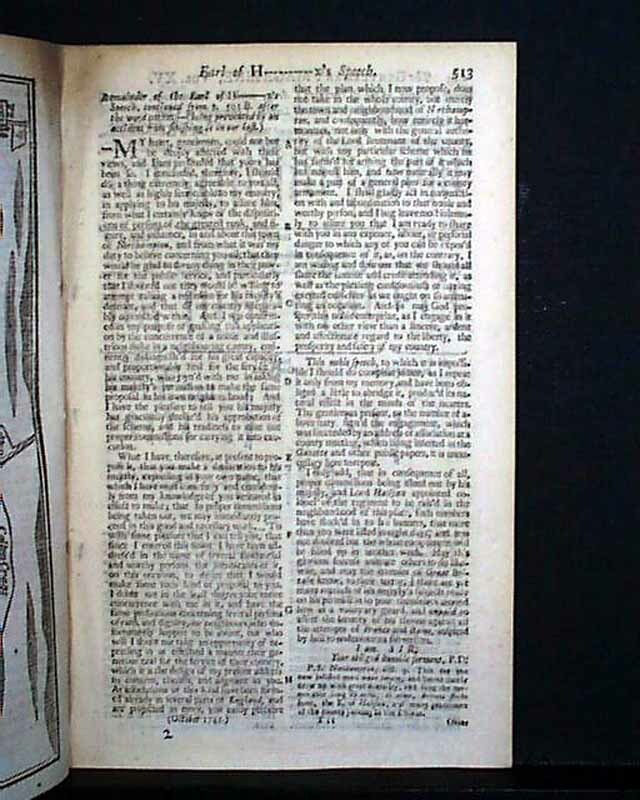 Dr. Jonathan Swift...whose genius works, learning & charity are universally admired...the bulk of his fortune...to build & endow an hospital for lunaticks, idiots and incurables..." (see). 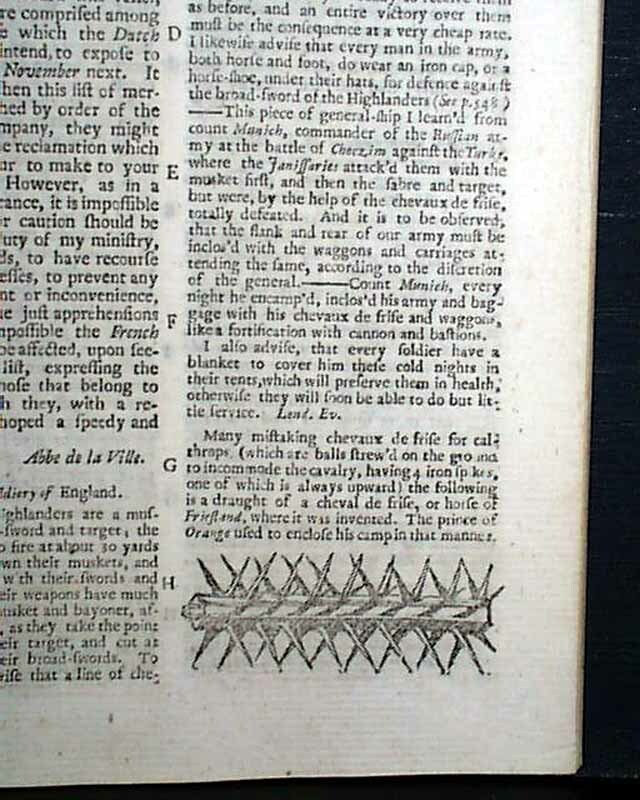 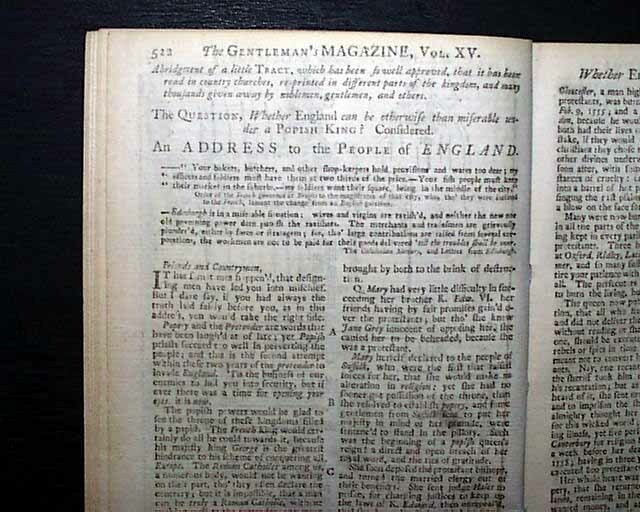 Among many other articles in this issue are: "Whether England can be happy under a Popish King" "The Usefulness of Chevaux de Frise in Battle" The Drapier's Letter to the People of Ireland" "A Popish King & Protestant Subjects inconsistent" "The National Awaken'd at the Danger of Popery" "A Popish Pretender to be cut off, and the Growth of Popery to be Prevented" "On the Usefulness of Defensive Arms". 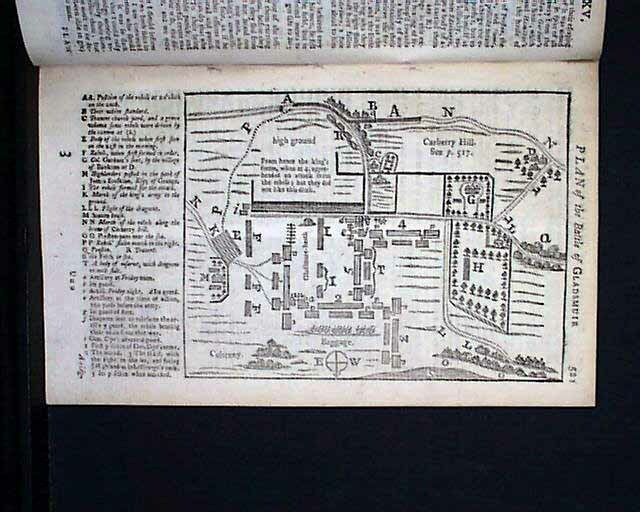 Complete in 54 pages, full title/contents page with an engraving of St. John's Gate.5 by 8 inches, great condition. 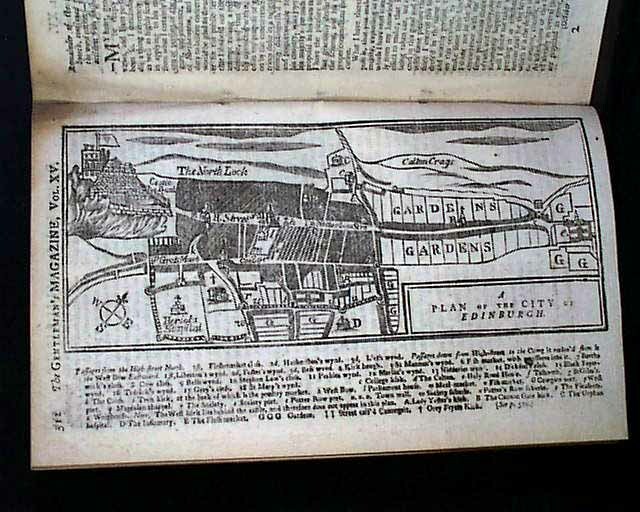 There are no other maps or plates called for in this issue.